Branding is defined as, “the promoting of a product or service by identifying it with a particular brand”. 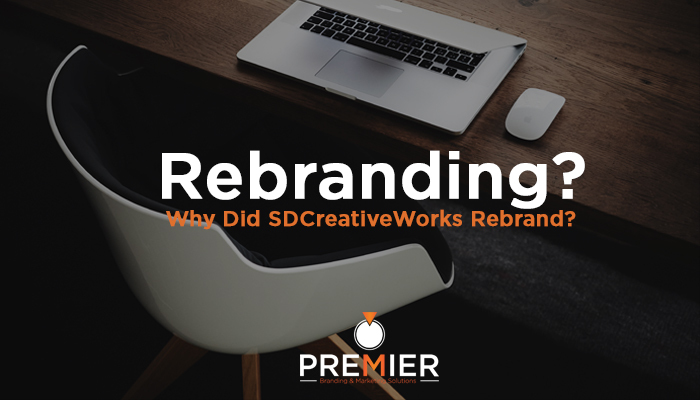 SDCreativeWorks was affectionately named after Branding & Marketing Specialist Trevis Bailey‘s late Grandmother & Aunt out of respect, pride, and love for them. Even though the foundation of Premier hasn’t changed, our aim has. With the previous name of our company, many of our clients & friends of the company had no idea about all of the services we offer. What we noticed with many prospective clients was the shock they endured when they realized there were more services we offered than they expected. Our desire to have our clients approach us with more of an understanding of what we offer drove the effort behind the rebranding. Changing our name and approach would allow us to maximize our interactions and potentially, attract more clients of need what we offer. Within the discovery process, we realized a few things. (1) We did not advertise enough of the services we offer and (2), we did not utilize our website effectively. With our new website, we took steps to clearly communicate how to navigate our website and how to get immediate questions to the answers that potential and returning clients may have. While we still offer professional photography for all types of events, designing and creating visual brands that aid people and companies in their growth are really awesome! We wanted to find a way to communicate that effectively, even at the mention of our company name. As painful as it was for Trevis to break away from the old name, because of it’s significance, the overall goal of seeking to work with individuals, organizations, and companies who have goals & need help working them out needed to be clear. So, what do you think about the change?